Pope Benedict XVI formally canonized St. Hildegard of Bingen in 2012 but her creative genius in the fields of music, theater, science, theology, medicine and mysticism have been appreciated for nearly nine centuries. In Plan-B Theatre’s newest production, written by Tim Slover and directed by Jerry Rapier, Virtue explores the fascinating story of the Benedictine abbess (1098-1179) whose exceptional achievements were acknowledged and encouraged by the ecclesiastical authorities according to solid historical evidence. 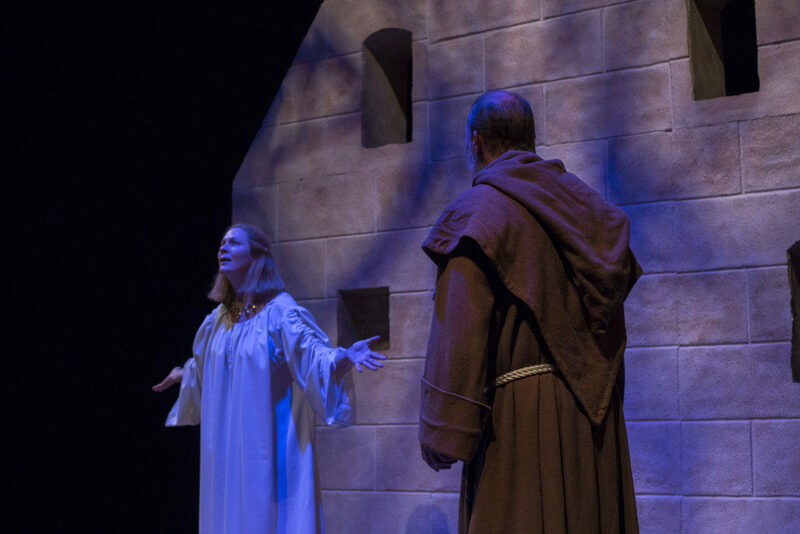 Slover, a playwright from the University of Utah, grounds the fact-based-yet-fictional play at the Monastery of St. Disibod in June of 1146 when Hildegard (played by Christy Summerhays) is the prioress of 18 sisters. The arrival of Richardis, a penitent with a gift for music, comes as Hildegard has nearly completed her work on Scivias, a compilation of 14 extended poems in which she describes 26 revelations that came in visions. Hildegard’s character is complex and dynamic; on one hand a visionary, theologian, nun, scientist, musician and mystic yet on the other a vulnerable woman who faces conflicting emotions as all humans do. 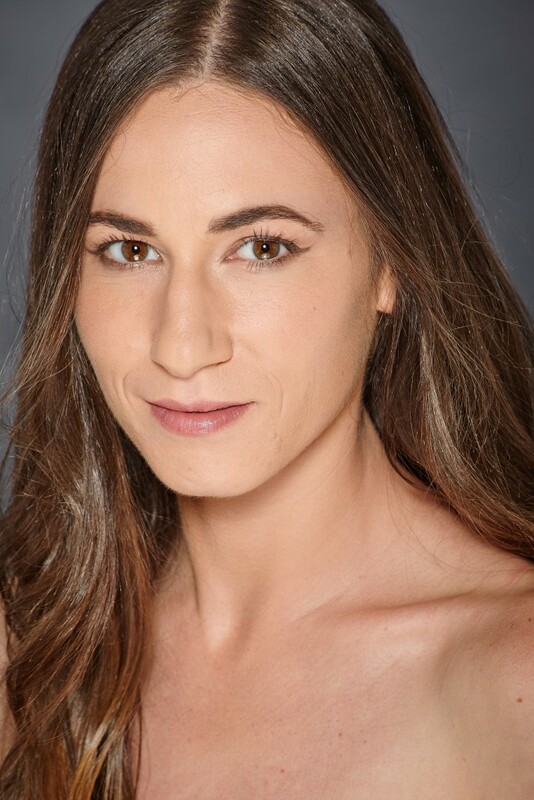 Summerhays maintains a strong, powerful grasp on the enlightenment Hildegard advances throughout the play, creating believable relationships and emotionally sharp contrasts with the other three characters. Cuno, St. Disibod’s abbot played by Jay Perry, regards Hildegard as the key to his improved fortunes within the church and at the monastery. Perry plays a cunning yet mock-worthy character that foils the good of Hildegard with the evil of a corrupt and powerful superior. S. A. Rogers shines as Volmar, the cleric, who pines spiritually and emotionally for Hildegard. When his quiet and dedicated role as the visonary’s scribe is usurped by Richardis de Stade (Emilie Starr) he temporarily succumbs to his base weakness of jealousy and sets the play’s finale in motion. Starr’s portrayal of Richardis, a young penitent novice who’s the sister of the Bremen archbishop, sparks Hildegard’s foray into music as well as new theological interpretations that reveal themselves in dramatic fashion. 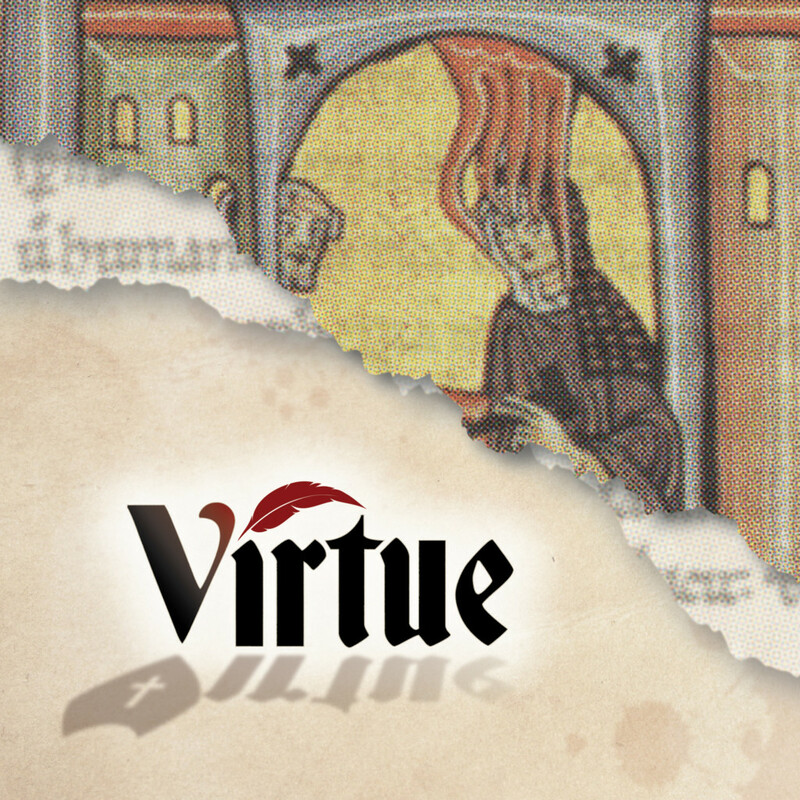 In a preview of Virtue, writer Les Roka explains, “Slover’s script rises to a reasonable standard of plausibility in terms of the intellectual history that made Hildegard’s life so remarkable.” And it’s this vast historical richness of St. Hildegard’s work that makes Virtue a must-see show. Likely for this reason, Virtue is currently sold out but a pre-paid wait list is available for each performance and theatre-goers would be well advised to seek out tickets. 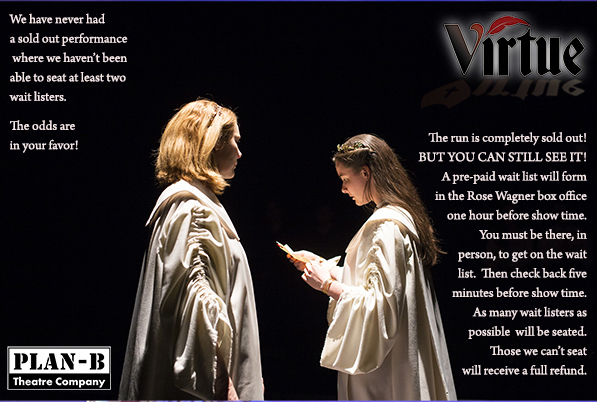 Performances of the world premiere of Virtue run through Feb. 26 in the Studio Theatre at the Rose Wagner Center for Performing Arts on Thursdays, Fridays and Saturdays at 8 p.m., Saturdays at 4 p.m., and Sundays at 2 p.m.
Additionally, a public evening prayer service with music will be held at The Cathedral Church of St. Mark in downtown Salt Lake City (231 East 100 South) on Feb. 19 at 7 p.m. as a celebration of the life and music of St. Hildegard. The service will feature a presentation by Dr. Margaret Toscano, associate professor of classics and comparative studies at the University of Utah as well as Dr. Emily Nelson and Dr. Christopher LeCluyse, founders of Utopia Early Music. The service is free and open to the public. 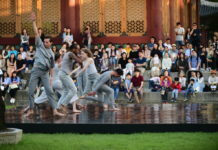 Virtue is funded in part by The LGBT Community Endowment Fund at the Community Foundation of Utah, the Arch & Bruce Brown Foundation and the George S. & Dolores Doré Eccles Foundation.